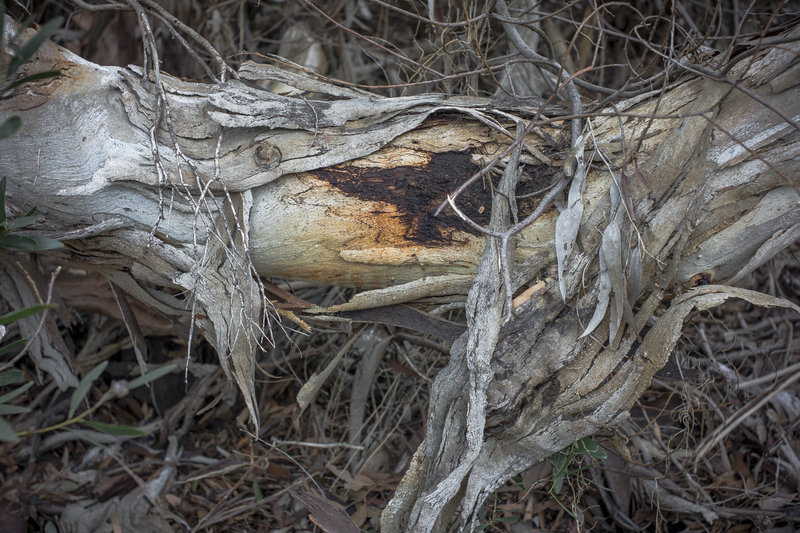 I came across a fallen log whilst walking along the Hesyen Trail near Jagger Rd, Victor Harbor yesterday. This is part of the Cape Jervis to Kuitpo Forest section of the trail and it is standing to Encounter Studio. I was looking for some subject matter to finish off some old film that had been sitting in the 6x7 and 6x9 film backs of my Linhof Technika 70. This is the digital scoping picture that I made in the late afternoon whilst on a poodle walk with Ari and Kayla. Though I used to use this camera a lot, it has has been sitting in a wooden box in a cupboard unused for several years. I have been using the Rolleiflex 6x6 instead. These are much quicker and easier to use as the baby Linhof functions like a view camera. You line the image up through the ground glass, take off the viewing plate, put the roll film back on, expose the film, take the roll film back off, then put the viewing plate back on to line up the next image. It is a slow work process--- very similar to large format photography. I had pulled the Linhof out of the box a couple of days ago as I'd wanted to finishing exposing the old 120 rolls Kodak Portra 160 VC film in the two film backs so that the 2 rolls could be taken to Atkins on Monday along with some 5x4 sheet film to be developed. This scoped image suited the 6x9 format. I scanned the film last night and I noticed the expired film is flat compared to the new film. It was made just before the showers crossed across the landscape. So the light is flat. 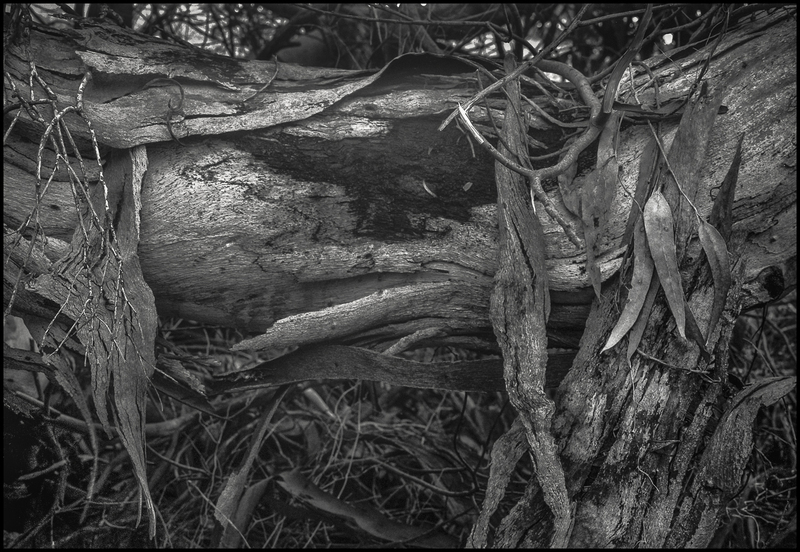 This image was converted from colour using Silver Efex Pro-2. I actually enjoyed using the baby Linhof. Since it offers alternatives to the square format the camera and the two lenses have been taken in to be serviced in Adelaide. I also ordered a second hand Super Rollex 6x9 film back from England to use instead of the very old one that has wooden rollers and is lacks an automatic counter resetting.